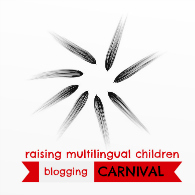 Welcome to the July edition of The Raising Multilingual Children’s Blogging Carnival. 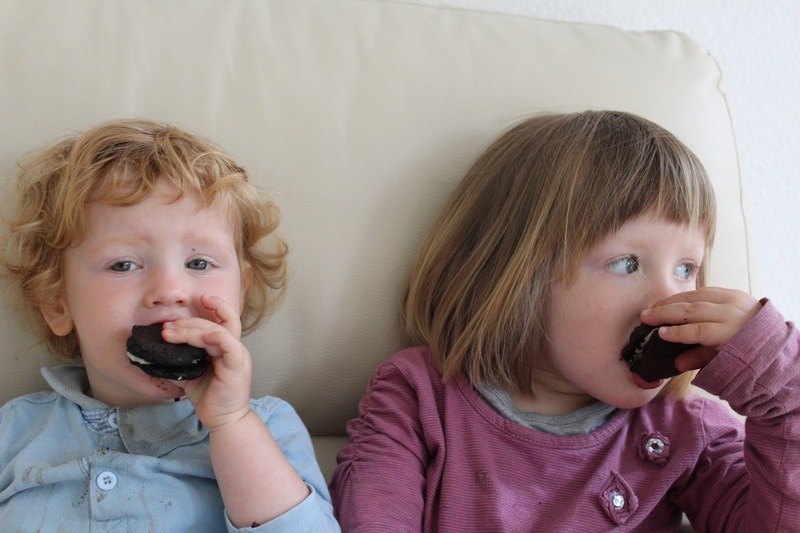 This month’s theme was Hidden Opportunities where I asked people to submit blogs based on the unexpected occurrences of bringing up multilingual children. Spanish Playground opens up this month’s carnival with some encouraging news for anyone still struggling to teach two or more languages: she has been there and done that and now has three grown kids. 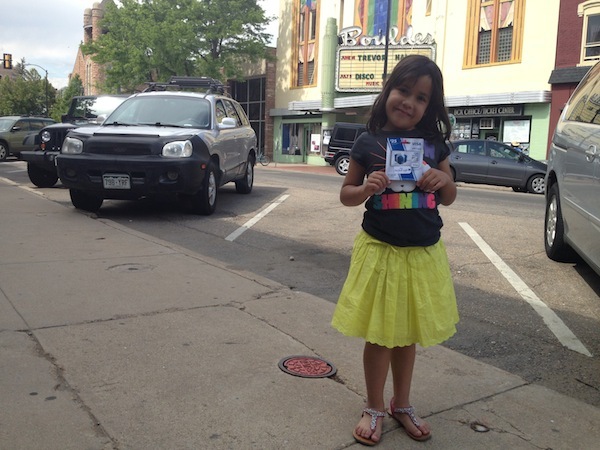 In her post Teaching my Children Spanish – A Few Observations Now that they Are Older she identifies the advantages they now have, some of which she never ever dreamed of when she started out on the road to bilingual education. Came to Find – Vim Encontrar is nowadays a grown up bilingual English and Portuguese speaker. She writes about the day that changed her life and all of the opportunities she has now that she is bilingual. And just to prove the point, you can read Perks of Being Bilingual in English or Benefícios do Ser Bilíngue in Portuguese. Over at Kids Yoga Stories we hear how Integrating Spanish and Yoga made for remarkably effective learning opportunities. Like all the best ideas, it seem that this was devastatingly simple once the connection had been made. And if you aren’t quite ready to do the downward-facing dog then maybe you can exploit a different strategy to keep your child interested in another language just as Open Hearts Open Minds describes in Hidden Opportunities in Bilingual Parenting. What Do Multilingualism, Video Games and Sweets Have in Common? If you want to know the answer you’ll have to read The European Mama. As you do so you’ll also find that she had to break some rules to find a much more sensible way of eating, playing and using languages. Despite serious health problems, Adventure Bee decided to experiment with realising some of her life’s dreams in her Hidden Opportunities post. In doing so, she discovered unexplored depths in her daughter’s ability to understand American history and an awareness of what they both need in order to grow and be challenged. In The Day my Daughter Learned it Pays to be Bilingual a very proud mum from SpanglishBaby tells a great story about the day it dawned on her daughter that there are distinct upsides to being bilingual. Parents know that being having more than one language increases your worth in the job market, but not all kids know that. When you are your partner are monolingual you have to actively hunt down as many opportunities as possible in order to give your child the best possible chance of growing up multilingual. That is exactly what SoulTravelers3 had to do and in this post, Bilingual Baby – Learning Spanish as a Second Language, she gives the benefit of her experience and shows just how possible it is. If you are short for time, you could just check out her video for how it is done: Teach Your Child Spanish – Multilingual Kid. Choosing a name for your new child is always an important decision, especially so if you are trying to reflect more than one culture. 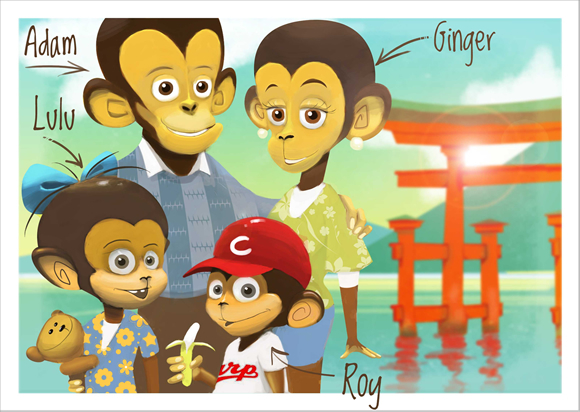 The name All Done Monkey chose for her son has turned out to have more importance than most as you can read in The Boy who Couldn’t Say his Own Name. 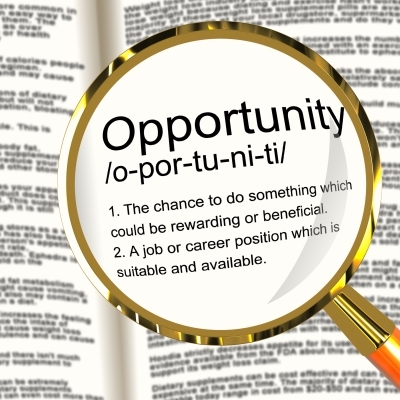 Of course, it isn’t just the children who can make the most of those hidden opportunities. MotherTongues: Wear Words, Celebrate Cultures explains how she has benefitted from having a multilingual daughter in her article called Learning Another Language After Turning 40. She might be a bit slower than her daughter, but she’ll get there eventually. It can sometimes be hard to tell if all the effort we are putting in to include other languages in our families is actually working or not. In Culture Parent describes an experience when she could answer the question Is all the Hard Work of Bilingualism Paying off? in the affirmative. The Art of Home Education reports on a lesson that she has learnt through home schooling. It seems from Learning to Let Go of my Learned Beliefs and Trust on his Curiosity that, just like many of us, it seems to be a lesson she has to learn over and over again. From Bilingual Monkeys we hear a wonderful story of creativity and how all bilingual parents need to be able to ‘think outside the swan planter’ in order to find as many opportunities for language development as possible. Bilingual Monkeys was one of the first sites I came across when I first started to read about multilingual families and I have learned so much from it that it is now an honour to be able to host Outside the Box: Creative Solutions to Challenges Raising Bilingual Children. LadydeeLG has got a tremendous amount out of raising her son to be speak Spanish and English. As well as a bilingual child she has set herself ambitious goals and been successful in meeting them. You can find out how she accomplished this in You Never Know Where a Blog Will Take you. A Blogger and a Father looks at the bigger picture for some of the reasons he would like his kids to speak his native language in Why Raise Bilingual Kids. While he starts off thinking about the advantages for his children, we also get to see potential global improvements and eventually how it connects the father to his younger self. 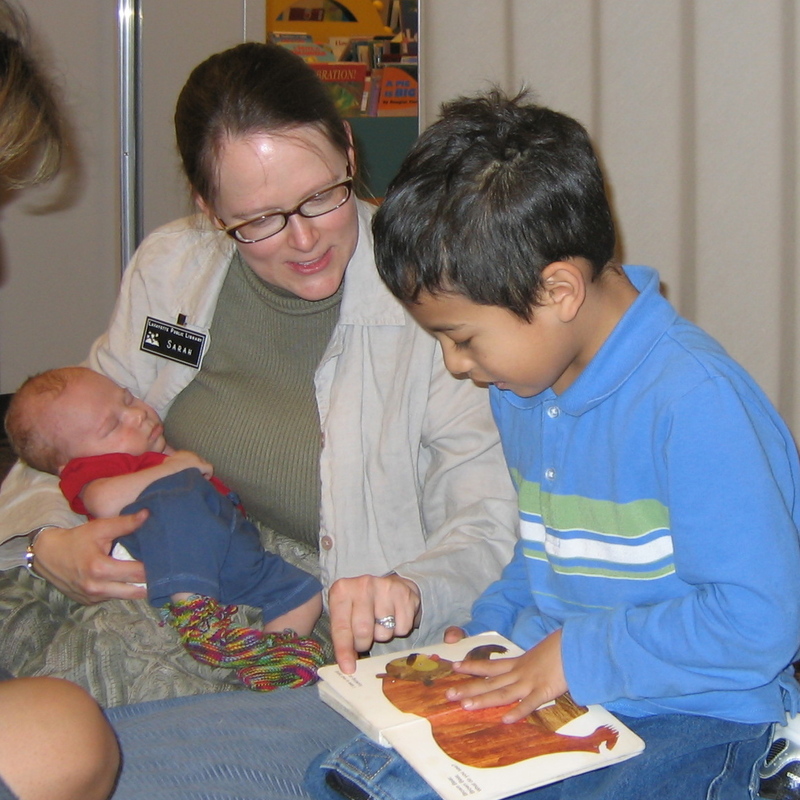 When Babylingual started volunteering at her local library she had no idea where it would lead her to. Nowadays she has at least four jobs (two of which are paid), discovered new passions and provides invaluable support to the community. In her words, her only regret is that I Just Wish I Had Started Volunteering Sooner! We started off this carnival with a report on what it is like when you have raised your multilingual kids. We (almost) finish with Dads The Way I Like It who is at the other end of the journey: right at the beginning. I’d like to wish him good luck as he and his wife find out that having a bilingual child can help them integrate even more into the local community in Being a Bilingual Parent. And last, and probably least, is my own effort. Our son was introduced to cars by his vovo (granddad) and this quickly turned into an obsession. Take me Riding in the Car Car describes how what could have easily become very tiresome has actually turned out to be a wonderful learning opportunity. I would just like to thank everyone who took the time to submit posts to this carnival. I have had a great time reading through all of them and I strongly recommend you all have a go and hosting one in the future. Big thanks go to Piri-Piri Lexicon for organising the whole carnival and for giving me a the politest possible kick in the pants to get myself sorted out. When Mr. T was still quite small his vovo took him out to sit in the front seat of his car and pretend to drive it. We didn’t think anything of it at the time, and to be honest we were glad of a bit of peace and quiet as we had been at a family get-together at a restaurant and Mr. T was beginning to get a bit cranky. Little did we know the consequences that this small act would have. The immediate result was for Mr. T to develop an obsession with cars. At first he wanted to be able to sit in the driver’s seat in our car, his vovó’s car, vovo’s car and just about any car that he ver saw. This meant that friends and relatives bought him toy cars and clothes with cars on them, which in turn fuelled his obsession. When we went to the UK for the first time my brother put Mr. T on his lap and sat in the driver’s seat of his white van, and so started a new path: naming cars. 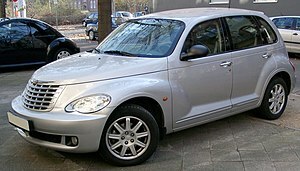 A van of any description is a ‘Noel car’, a 4×4 is a vovó car, a silver Sandero is usually a ‘mamãe car’, but sometimes a ‘daddy car’. 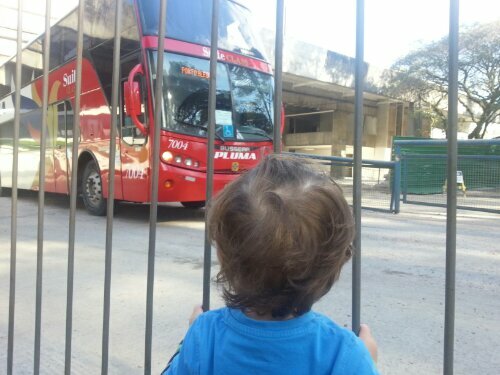 When he sees a bus on the street he shouts ‘tchau tchau Mimi car’, or he enthusiastically waves at every ‘tru’ or truck. We thought that was going to be about it. The next couple of years would be filled with playing with cars and watching Lightning McQueen over and over again. But then we realised that this obsession was actually leading to him learning all manner of other things. As soon as he learned the word ‘bee’ for ‘big’ he used it to describe trucks. Whenever he sees a blue tractor he shouts out ‘blue tractor’ and if a car is anything but spotlessly clean he will tell anyone who can hear that it is ‘dirty’ with such a disappointed voice that I almost want to go and clean it myself. 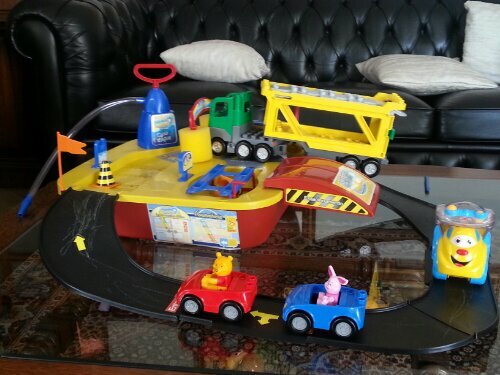 He has developed a fine motor skills by trying to ‘park’ his cars in just the right place. He has developed metaphors by saying that the car is ‘doi‘ (hurt) when he has crashed it into a toy bus. The truck is too big for the car wash. Or is the car wash too small for the truck? He has developed concepts such as ‘on’, ‘in’, ‘under’, ‘too big’ and ‘too small’ by playing with his cars and experimenting with different positions. One of the first ways I got him to say ‘please‘ was when he wanted me to make a model of a car from play dough. Now, whenever he wants anything, he is sure to say please. What started out as a simple way to get a few minutes to chat with friends without a moody baby first turned into a tiresome obsession but has since become a gateway to learning so much about the world. Not only has our son learned a lot, but I also learned to encourage his interests, no matter what they might be, because there is always something that can be learned from and through them. Now that Mr. T has turned two years old I thought it might be a good time to look at some of the language he has developed recently. I am very relieved that he it still seems to be the case that he is acquiring language at roughly 50% English and 50% Portuguese, which means we must be doing something right. While his vocabulary size in either language is smaller than that of his peers, if we take the two languages together I think he is about average. It is becoming more common for him to string three or sometimes even four words together in a sentence. However, he is much happier with just one or two-word utterances. He has also taken to using ‘please‘ practically whenever he wants anything now so that it can sometimes be difficult not to give in to his demands. We now have three words that Mr. T knows and uses in the two languages: ‘mommy’ and ‘mamãe‘, ‘bye bye’ and ‘tchau tchau‘, and ‘more’ and ‘mais‘. I have a feeling that he uses ‘bye bye’ more with me and ‘tchau tchau‘ more with the other people around him, but not to the extent that I can definitely say he is aware of it. His use of ‘more’ and ‘mais’ is still complex and he will often use them one after the other. Adah: He uses this to mean ‘yes’. I think it is a corruption of the Portuguese ‘esta‘ which is the verb for ‘to be’. 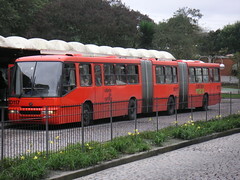 In Brazil it used a lot when people agree with you or want to show they have understood. A mão or Come on: I am still not sure which of these he is saying. If he wants you to follow him he walks up to you and reaches his hand out for you to hold it and then walk with him. As he does this he either says ‘a mão’ (the hand) or ‘come on’ with a the first word unstressed. Sometimes it sounds Portuguese and other times it sounds English. 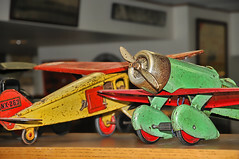 avão: This is a corruption of ‘avião‘, the Portuguese word for ‘plane’. Bee: This comes from the English word ‘big’. I was quite chuffed when he came out with this as it is further evidence of difference concepts that he is learning. Ninho: Portuguese has this (sometimes annoying) habit of adding a suffix ‘-ninho’ as a diminutive to practically any word at any time. 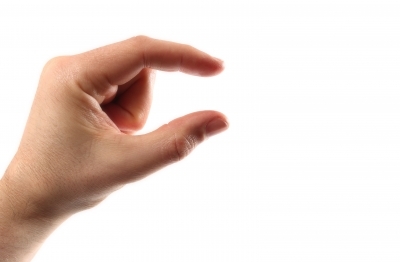 Mr. T has obviously noticed this because he uses it to mean ‘small’. He started to use this word about two days after saying ‘bee’. He now has names for everyone in the family on both sides. He recently learnt the name of my wife’s cousin’s son (2 cousin?) who is a couple of years older than him. Mr. T proceeded to spend the rest of the day shouting for him at the top of his voice whenever they weren’t playing together. It is rare nowadays that we say something to Mr. T and he doesn’t know what we are talking about. This doesn’t mean that he knows the words, though, as it is very possible he is guessing meaning from context. However, it is clear that e knows the names of lots of animals, food, drink and household objects because when we ask him to get them or point to them he doesn’t have any problems. Whenever he says the word ‘bee’ for big he holds either one or both hands up above his head to illustrate just how big it is. And whenever he says ‘ninho’ for small he holds his index finger and thumb out in front of him with a small gap to show that he means it really is small. He regularly taps himself on the chest when he wants to refer to himself. He still hasn’t used his own name yet, or referred to himself in other way. He has started to nod his head for ‘yes’ as well as say ‘adah’. He puts his arms out to imitate a plane whenever he sees one go by or wants to play at planes. He still runs his index finger around the palm on his other hand when he wants to watch TV. He seems to be developing his own sense of humour. I mentioned some of the games he likes to play with language in a previous post, but in the last week he has started to use these games with other people and not just me or his mother. He loves doing simple jigsaws, and even the more complicated ones that he can’t do are fascinating for him. He has also learnt how to do jigsaws on his vovó’s i-Phone which I was surprised at because he needs to touch the piece, drag it without removing his finger from the screen and then drop it in the right place. Week Two of the Pinterest Scavenger Hunt starts here. If you missed any of the clues from the first week you can find them all here along with a list of the fabulous prizes available. There are two clues today, so make sure you head over to Marocmama for the other one. This is the link to the Rafflecopter page. You will need to register your Pinterest board here. For the full prize details, schedule of all the participating blogs to find daily clues and the rafflecopter to enter your Pinterest board, click here. When I was growing up in the UK Sesame Street was never really on my radar. I knew of its existence as a kind of young kid’s version of The Muppets. To this day I love The Muppets; their series, films and skits on youtube. Animal was my favourite, closely followed by Kermit. When Mr. T was still a baby we were inundated with videos about Galinha Pintadinha, which is a series of animated videos set to traditional, but updated, Brazilian songs. Every kid here loves these songs, and pretty much every parent I have ever met hates them. I was no exception and so I took to the internet to find some alternative songs to play to my son. The best ones I found were always Sesame Street. I love the way they are educational, focus on inclusivity and stress a can-do attitude to kids. They also offer something to the parents with jokes and sketches based on contemporary TV series and news items. So, in no particular order, here is a list of my favourite Sesame Street Clips. Sesame Street has always appealed to the parents as much as to the children. These two clips of Stevie Wonder are just absolutely fantastic. I wish I had been a kid at these recordings, I would still be flipping out about them today, like I think the kid in the red top probably is. You can’t get more 70’s than this. This was the first non-Galinha Pintadinha song that my son showed an interest in and so, for that reason alone, I will be eternally grateful. When we watch this video today Mr. T can be seen banging the desk top as if he is playing the piano. When I first showed this to my son he was a bit scared of the Cookie Monster. Nowadays he wants me to sing the song every time we see the letter ‘c’ in his rubber matting floor covering thing. This one’s for my dad. And this one’s for my mum. Also, I love the way it is so obviously live and the kids are really getting into it. Sesame Street is famous for counting songs and they must have millions of different songs on this theme. I had never heard of Feist before seeing this video, and I still haven’t heard any other songs by her, but this a great song to put your child on your knee and bounce him around in time to the music. This song reminds me of so much that I can’t write about here. I was about 17 when REM came out with Shiny Happy People and, while I was never a big fan, it was played at lots of parties and clubs. I love this video because of the memories and it just looks like so much fun. Bert is prepared to wail and he has the shortest bass solo ever. What more do you need from a Ray Charles song? This is another one that Mr. T likes to play the piano to whenever he hears it. Surely everyone with an internet connection has seen this video by now. It’s the Muppets rather than Sesame Street, but I love it and Mr. T has grown to love it, especially the parts with Animal. Yesterday was Mr. T’s second birthday. To celebrate we are going to have a small birthday get-together with his Curitiba-living Brazilian family on Saturday, where undoubtedly he will get lots of cars as presents. He got a few presents yesterday, including a tricycle to make up for the one that I broke for him ages ago. After breakfast I took him out for a very special walk: we went to the coach station. For most people this would not sound like a special walk, but for my son this is about as good as it gets. I had also done my homework and found out that at 9.30am abot 15 coaches leave the coach station at the same time. Mr. T’s arm got tired from waving at all the coaches as them went past. Unfortunately, only two people on the coaches bothered to wave back at him, and none of them were pasengers but the coach drivers. Miserable sods. It got better, though. Just as we were about to leave a tractor pulled out from the half of the coach station that they are doing up. Mr. T did a little jig on the spot he was so happy. And the driver gave him a wave as well. We walked over to the train station and saw pictures of trains, two motorbikes advertising bike insurance and a model plane on the ceiling. The best bit was the model train line in the glass case. Unfortunately, this train station is almost never in use anymore except for the odd tourist train that goes up into the mountains so we didn’t see any actual real life trains. And then the highlight of the day, perhaps even the highlight of his life. We walked out of the train station, back past the coach station and got on a big orange bus. We got a seat next to the window and rode the bus all the way to the terminal. Not a peep out of him as he stared out of the window (except for when he saw a tractor and shouted about it so that the whole bus knew about it). As soon as we got off the bus he started saying ‘Mimi car‘ over and over again and pointing at himself. He was desperate to go on a bus again. So we crossed the road and got on a bus going in the other direction. This one wasn’t as much fun because it was very busy. a nice kind lady gave us her seat but we couldn’t get to the window. About 1 minute before out bus stop Mr. T had got bored and started to say ‘tie Mimi car’ (roughly translated from his own private language into English as ‘get off the bus’). Perfect timing. Some people say that the time flies by when you have kids, but I have to disagree. It is two years today since Mr. T was born but sometimes it feels more like 5 than just the two. A lack of sleep, me time and beer will do that to anyone, I reckon. During the last few days I have been reminiscing about the last couple of years, about the things we have all learned, the good times and the bad times (there have been plenty of both) and how much things have changed. Sometimes these memories have been set off by looking at pictures, or talking about the changes. Occasionally they happen completely out of the blue because of something Mr.T has done. 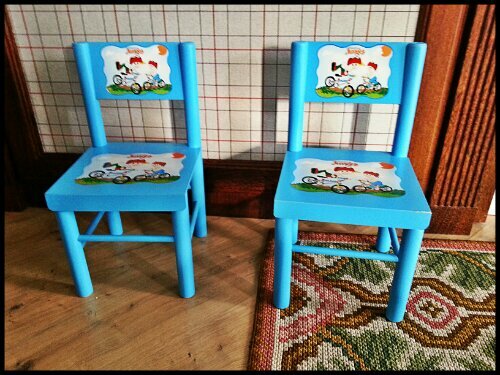 Eventually he managed to get the chairs where he wanted them and he stood back, gave them another look just to check everything was satisfactory and then give himself, or the chairs, a quick round of applause. That was when the memory came bursting in. He can’t have been much older than 5 or 6 months and we were in our flat changing his nappy. My wife had designed a cool little changing table in the wardrobe that could be hidden with the door when we weren’t using it. it was safe because there was next to no chance of him rolling off, organised (as only my wife can be) with everything near to hand and also had funky little pictures around to keep our bundle of joy occupied. The pictures didn’t always work, so if I was around I would also try to distract from the job at hand. On this particular occasion I was clapping my hands and saying ‘clap, clap, clap’ to get his attention. He started trying to copy me and then I just stopped clapping but continued to say ‘clap, clap, clap’. He looked at me strangely for a second and then clapped. I loved it, but wasn’t convinced he was reacting to my words so I said ‘clap, clap, clap’ again and he immediately clapped his hands. I think it was seeing me do the action while saying the words, plus my response to his claps that motivated him to do it again. After that he often clapped when I asked him to, and then that evolved into clapping things he liked until today when he claps himself for a job well done. So I hope you will join me in giving a big hand to Mr. T on reaching the very so important milestone of 2 years of age.